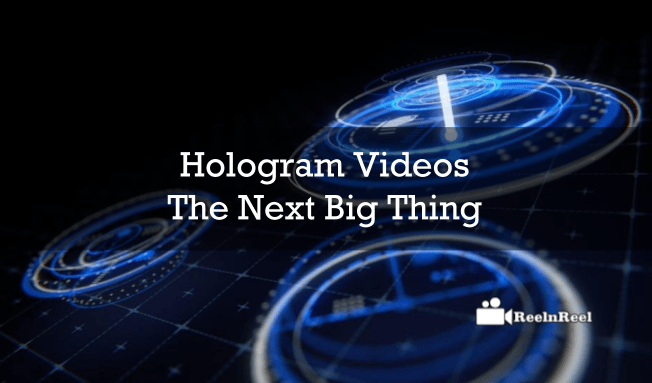 Hologram videos are the next big thing across the web. The hologram is the three-dimensional images which are created by the projection of photographic. It is different from the 3D and virtual reality. The hologram is an image which is three dimensional and free standing one that will not stimulate the spatial depth which can deliver the special viewing experience with the special viewing device. The Hologram videos can be the next big thing in e-commerce sector as these have the potential to alter the buying habits in the digital world. where it can embrace the new technological advancements to grab the attention of customers online. The Augmented reality is one of the trends which were already entered in the retailing industry. The Holograms are associated with the different scientific movies and personalised advertisements. The technology was going more affordable today, and companies are interested in being, in the same way, using the holographic technology in their space. Some companies were already utilizing the technology. Musion Company which is a London based company that had boosted its video presence on YouTube platform with hologram videos. The company’s video has gained more than 15 million views in just 48 hours. Another company had utilised the Hologram technology with a plug and play type solution with an advertising initialisation and successfully reached its targeted audience. Holograms have the capability of creating the virtual reality. So, brands are going with the new strategy to utilize the hologram videos in their marketing strategy to target the audience in a different way. Therefore the new way to reach the things was come up with a hologram video content on the web. We can expect a new approach with the Hologram images as well as videos in the marketing and advertising online and surely go as the next big thing online.